Every year, skiers of all ages and capabilities enjoy one of the longest cross-country ski seasons in the country on the Nordic Heritage Center’s 18 miles of groomed terrain in Presque Isle. “We have some of the best ski trails in the world right here,” says Tom Chasse, vice president and 17-year trustee of the Nordic Heritage Sport Club, the nonprofit that operates the Nordic Heritage Center. The center hosts about three international and national events each year, including past World Cup Biathlons, and in March and April the U.S. Ski and Snowboard cross-country Super Tour Finals will be held at the center. The center also serves as a training ground for Olympic biathlon and Nordic hopefuls. “If you want to be on the Olympic team, you will be here,” says Chasse. 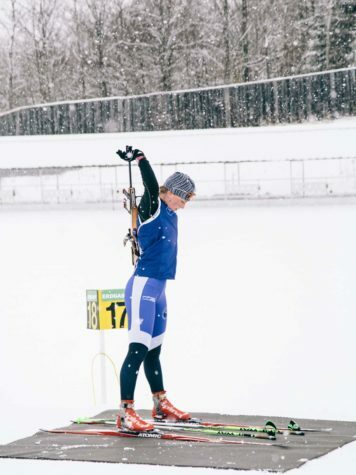 The Nordic Heritage Center opened its doors in 2001 as part of the Maine Winter Sports Center (now the Outdoor Sport Institute), with funding from the Libra Foundation. The foundation established the Nordic Heritage Center, along with the Fort Kent Outdoor Center, as a world-class biathlon skiing destination in an effort to reestablish the sport in Maine. 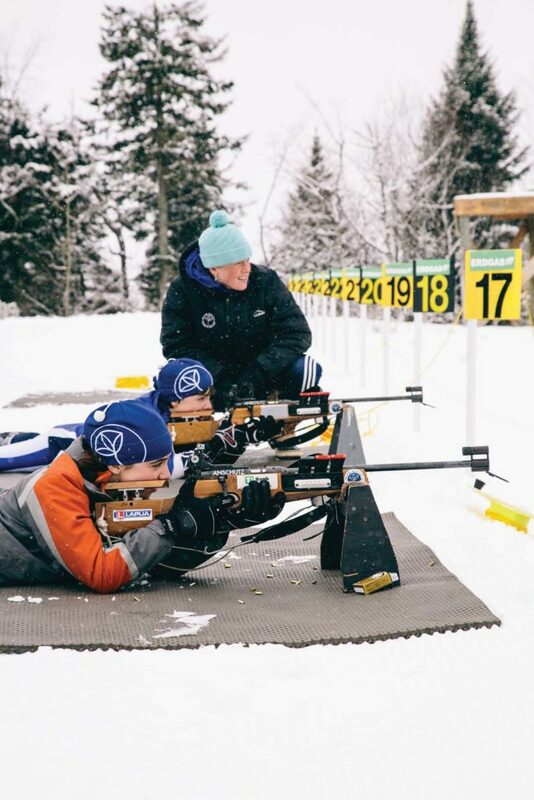 The Libra Foundation ended its funding of the Maine Winter Sports Center in 2014, but it still funds half of the Nordic Heritage Sport Club’s operating costs and capital improvements to help maintain and grow the center. 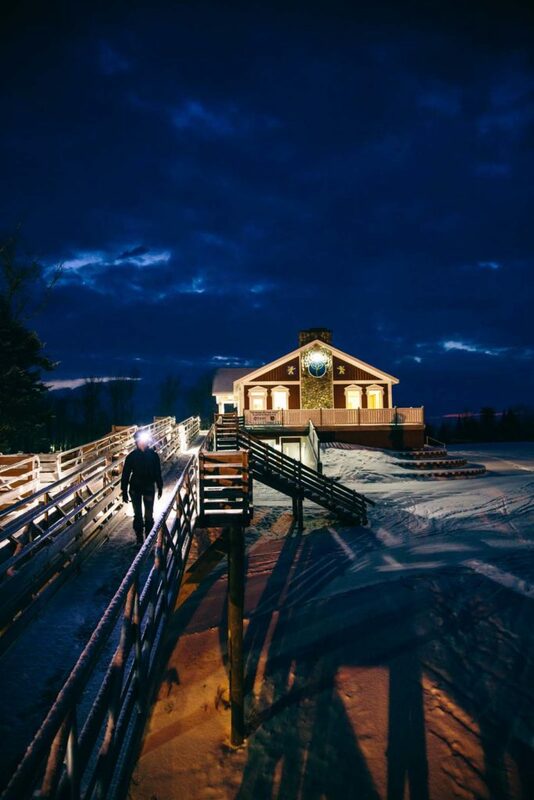 Today, the Nordic Heritage Center not only is a skiing mecca but has since expanded its offerings with other outdoor activities, including geocaching, mountain biking, hiking, and hosting the annual Nordic Trail Festival. A disc golf program will be launched this spring. The year-round offerings build on Chasse’s efforts, begun in 2003, to create mountain bike trails throughout the center’s 356 acres of land. There are now 22 miles of terrain for biking and hiking. It’s in the winter, though, that the center really shines. From December to March its lodge and groomed trails are filled with skiers of all skill levels, mingling, learning from each other, and celebrating nature in the snow. It’s one place where winter is always welcome, and even preferred.